A Cambria Hotel & Suites will be built in Buzzard Point on Half Street, less than two blocks from Audi Field according to an article in the Washington Business Journal. The WBJ story states the site is on the northwest corner of the intersection of Half and Q streets, which currently contains nine rowhomes that will be razed for a nine-story, 154-room hotel by Kouza Cos, partnering with Choice Hotels International. 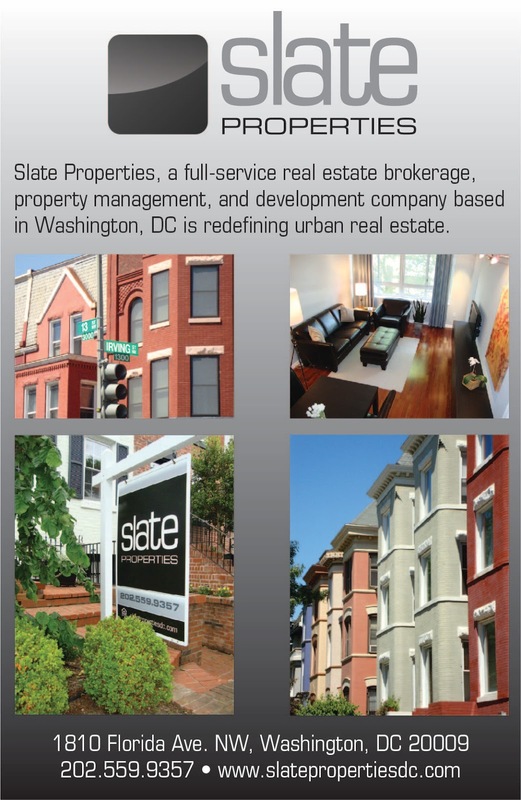 Planned amenities include a rooftop bar, gastropub, a 2,500 SF multi-function space, and a fitness center. With a planned opening in 2020, construction will likely begin sometime later this year. This would be the second Cambria built in the District and the first hotel in the Buzzard Point neighborhood. A hostel/hotel concept was planned by Carr Hospitality a block away at a taxi repair shop site on the 100 block of Q Street in 2010, long before a soccer stadium was contemplated for the neighborhood, but that project has been stalled. In addition, a hotel could potentially be built on a site controlled by D.C. United, adjacent to Audi Field. The planned hotel is across the street from the USA Motors site at 45 Q Street that was put on the market last year by the Zupancic Group and Ian Ruel & Josh Feldman of the Feldman Group, the same group who helped broker the sale of the Cambria site. Since then, 45 Q Street was removed from the market. The Cambria site is also on the same block as a planned affordable housing project to be built at the Shulman Liquors site at the corner of 1st and Q streets. 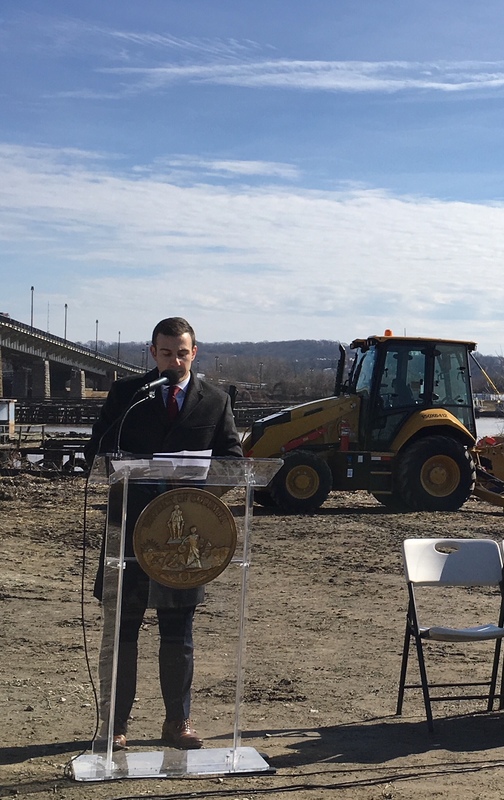 Currently, Q Street ends prior to South Capitol Street, but with the new Frederick Douglass Bridge project, a new traffic oval will be created with a connection to Q Street. 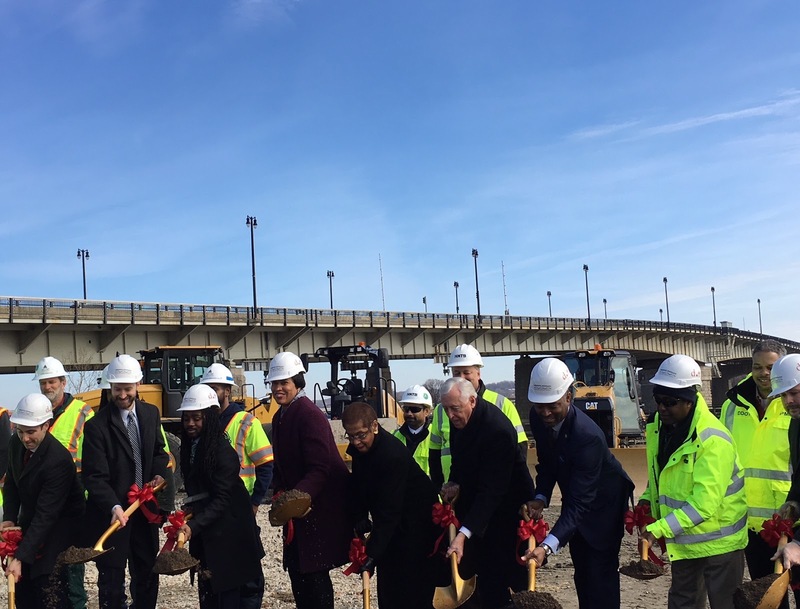 A ceremonial groundbreaking was held on Tuesday for the new Frederick Douglass Bridge at the site of the new bridge in Buzzard Point. Mayor Bowser, DDOT Director Jeff Marootian, DC Delegate Eleanor Holmes Norton, Congressman Steny Hoyer, DC Council members Charles Allen and Trayon White, and Federal Highway Administration DC Division Administrator Chris Lawson were all there and spoke about the project’s benefits. Bridge construction will last about four years with completion scheduled for 2021. Below are some pictures from the groundbreaking event. On the way to the ground breaking ceremony, I walked by the construction site of Audi Field, which is still on schedule to open by mid-July. A topping off ceremony was held last month and since then, work has begun on installing the facade of the stadium. Infrastructure work continues on the roads around the stadium, including Potomac Avenue, which will receive new sidewalks, gutters, trees, and street furniture. Earlier this year, Half Street south of Potomac Avenue reopened to traffic where similar improvements were also made to that street. 2nd Street south of R Street remains closed to traffic as work will be done on that street to create a bike lane and other improvements. Bethel Church DC360 at 60 I Street is slated for redevelopment. Cornerstone Development has plans to develop a 186,000 SF residential building on the church property. The site is located across the street from the Randall School site, which will be redeveloped by Lowe Enterprises and Telesis/Rubell into a modern art museum and residential project. Waterfront Academy is located on the second floor of Bethel, so as a result of the church redevelopment and the school’s growth, it is searching for a new home and has embarked on a $13 million fundraising campaign. Waterfront Academy is a dual immersion (Spanish and English) Montessori school with emphasis on charity and stewardship in the Catholic tradition. The school wants to stay in the SWDC area, where it’s been since opening in 2014. Before opening at Bethel, Waterfront Academy planned to locate on the 1200 block of South Capitol Street. According to a fundraising email sent by the school, the new space will allow Waterfront Academy to serve at least 135 students each year. The school will be modeled after the traditional Spanish colony and will feature a Chapel, Library, Teacher’s Lounge, Administrative Office Suite, Infirmary, Gymnasium, Kitchen, one Nido (Infant) Classroom, two Toddler Classrooms, three Casa (Preschool) Classrooms, two Lower Elementary Classrooms, two Upper Elementary Classrooms, one Middle School Classroom, and an outdoor plaza featuring an Urban Farm, Outdoor Classrooms, and Natural Play Space. Bethel Church DC360 is the latest house of worship to face redevelopment in Southwest. St. Augustine’s at 6th and Maine moved into its new space in 2016, adjacent to 525 Water condos that was developed by PN Hoffman. A few blocks east on M Street, St. Matthews’ long journey to a new home is months away from completion as construction continues on its new sanctuary and adjacent Valo apartment building by Trammell Crow. 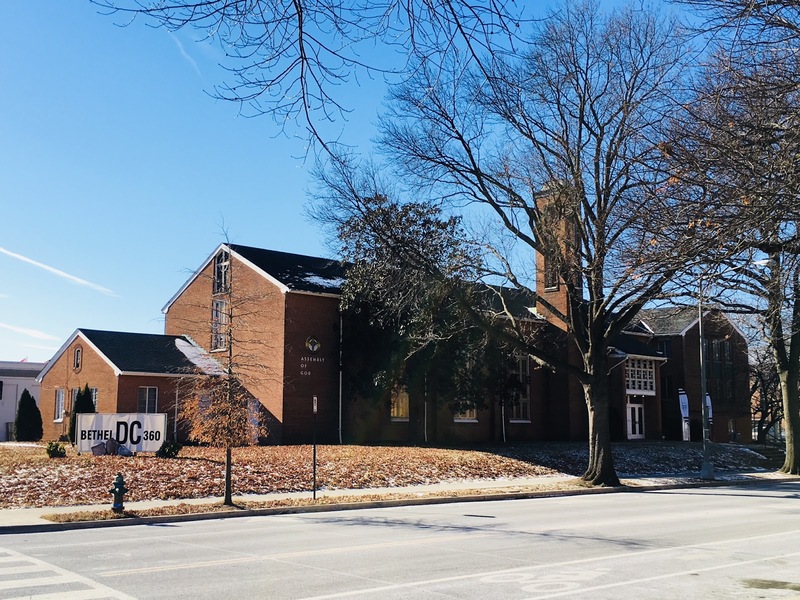 Riverside Baptist Church at 7th Street and Maine Avenue partnered with PN Hoffman to redevelop their site with space for a new sanctuary along Maine Avenue and an apartment building at the corner of 7th and I streets named The Banks. Over at Westminster Church, the congregation is finalizing an agreement with a developer to build a new sanctuary on the 600 block of I Street along with mixed income housing. One house of worship in the neighborhood that didn’t get redeveloped into housing is the Living Hope Church at 1200 1st Street. The building has been converted into Kadampa Meditation Center Washington DC Temple for World Peace and received a new paint job and signage in recent months. Although the old Friendship Baptist Church at Delaware Avenue and H Street was originally planned to be redeveloped as a condominium project, the developer changed course and leased the space to Blind Whino SW Arts Club. Land adjacent to the church building was slated to become a temporary housing facility for homeless families, but those plans were scuttled and the shelter will instead be built on the Unity Clinic site at Delaware Avenue and I Street.